AWStats is an open source Web analytics reporting tool, suitable for analyzing data from Internet services such as web, streaming media, mail, and FTP servers. AWStats parses and analyzes server log files, producing HTML reports. Data is visually presented within reports by tables and bar graphs. Static reports can be created through a command line interface, and on-demand reporting is supported through a Web browser CGI program. 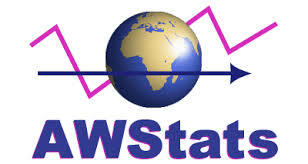 AWStats supports most major web server log file formats including Apache (NCSA combined/XLF/ELF log format or Common Log Format (CLF)), WebStar, IIS (W3C log format), and many other common web server log formats.